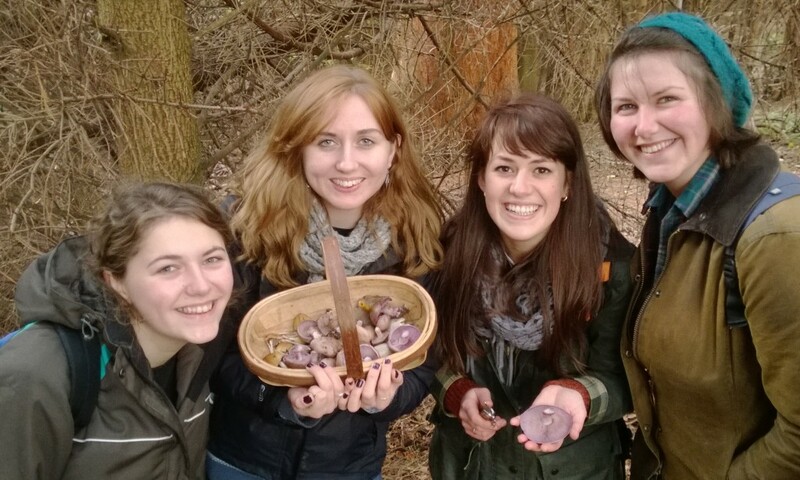 Book Mark for your own private foraging event at any time of year for groups of up to 14. To really learn and gain the confidence to identify edible species it is extremely useful to go out in the field with an expert. No guide book, no matter how good, can give you that 100% certainty of identification that will allow you to eat and enjoy wild foods. 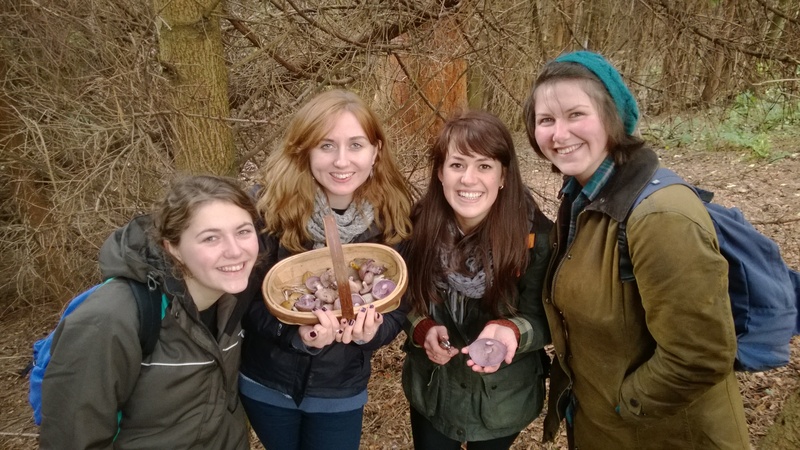 The very best way of gaining confidence is to book Mark for foraging instruction tailored to your own needs. Its a great fun way to spend time in the outdoors with family and friends too! 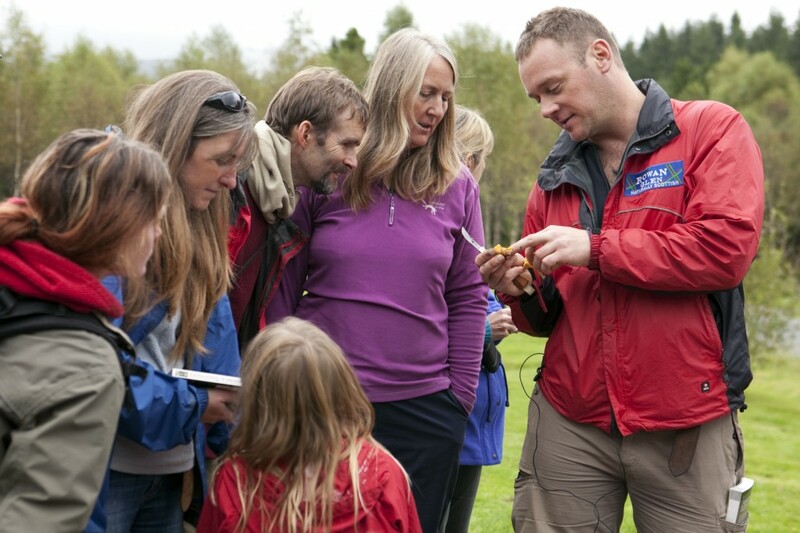 And as Mark is Scotland’s only full-time foraging tutor, you know you will get the very best learning experience. Sessions or whole days can be tailored to your interests and location. Perhaps you are fascinated by fungi, or want to learn how to unearth spoot clams. Maybe you’d like a celebratory day with friends. Often there will be a host of delicious ‘weeds’ up your lane that you have been ignoring for years! If you book Mark for an afternoon or a day and let him know where you are and what interests you, he can recce your area before hand and ensure that you get most out of your session. If you want to learn about things that don’t grow in your area, he can advise on a good place for the foray. Or just say what sort of day you want and let Mark suggest some options. Tuition is not restricted to Dumfries and Galloway – Mark has foraged in many areas of Scotland and N England and can help you get the most out of any area. 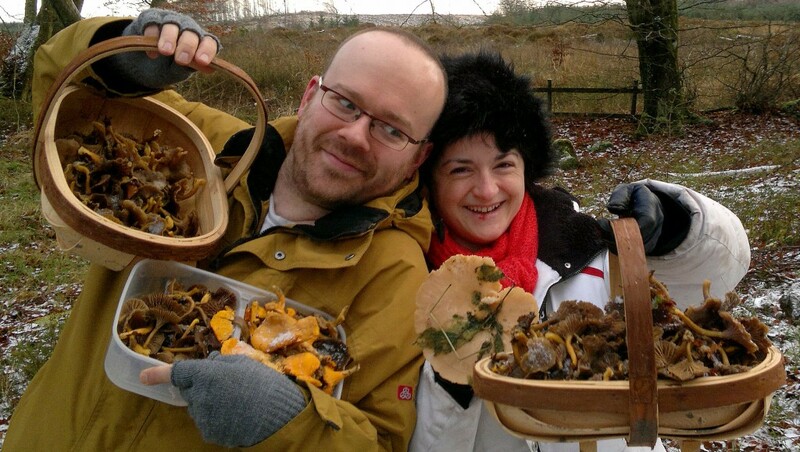 “…thanks for giving us the confidence to find and pick such delicious mushrooms! 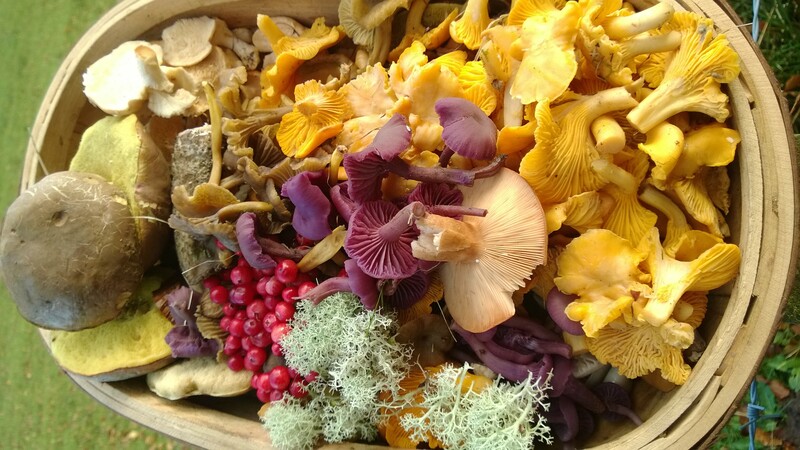 We are now getting enough to put chanterelles, hedgehog mushrooms and giant puffballs on our menu – but we keep the ceps for ourselves! The best thing is that after a 3 hour session with you we can now harvest our own little patches year after year!” – Helen, Owner and Head Chef, House O’Hill Hotel, Bargrennan. As locations, group size, food etc vary greatly between bookings, I generally quote a price for individual requirements. 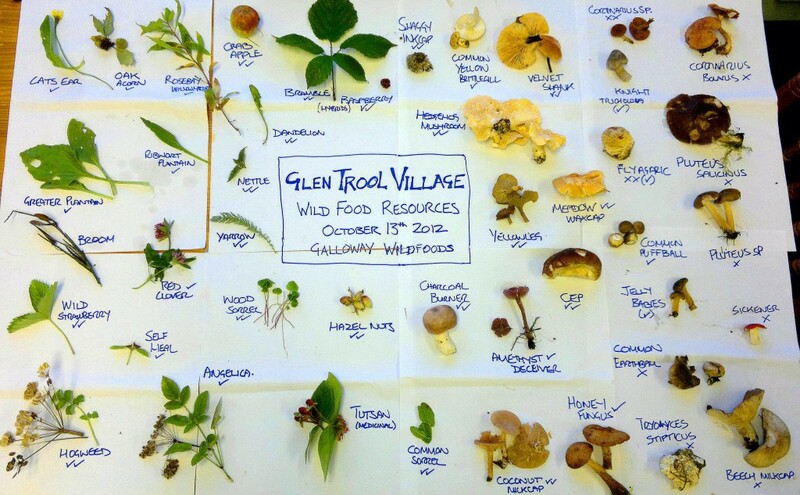 Please email Mark on mark@gallowaywildfoods.com for an information sheet and to discuss your specific requirements. “We had a fabulous time last Sunday – I still can’t believe that we were all outside in that filthy weather for nearly 4 hours – kids and all – and completely absorbed. No doubt, helped by cha-cha bomb and sloe gin!!! And delicious fruit leathers and hogweed seed cake. Feedback is only the highest praise. You are so knowledgeable, and such a good communicator, and your cooking and drink mixing legendary! 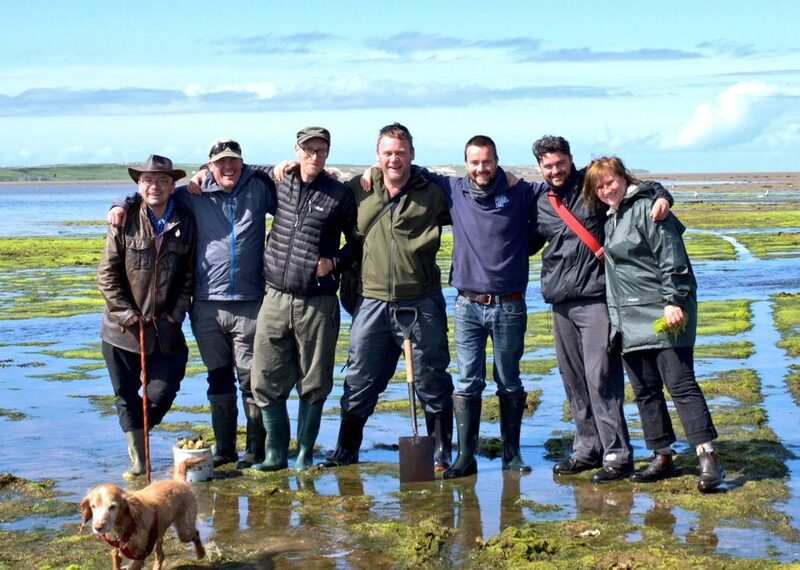 We are so lucky that you came to our patch to show us what is on our doorstep. Thanks so much for dealing with weather and location without fuss. Everyone I have spoken to since Sunday thought it was the BEST DAY EVER!! And so it was! They all thought you were brilliant, and were all amazed by what we found. 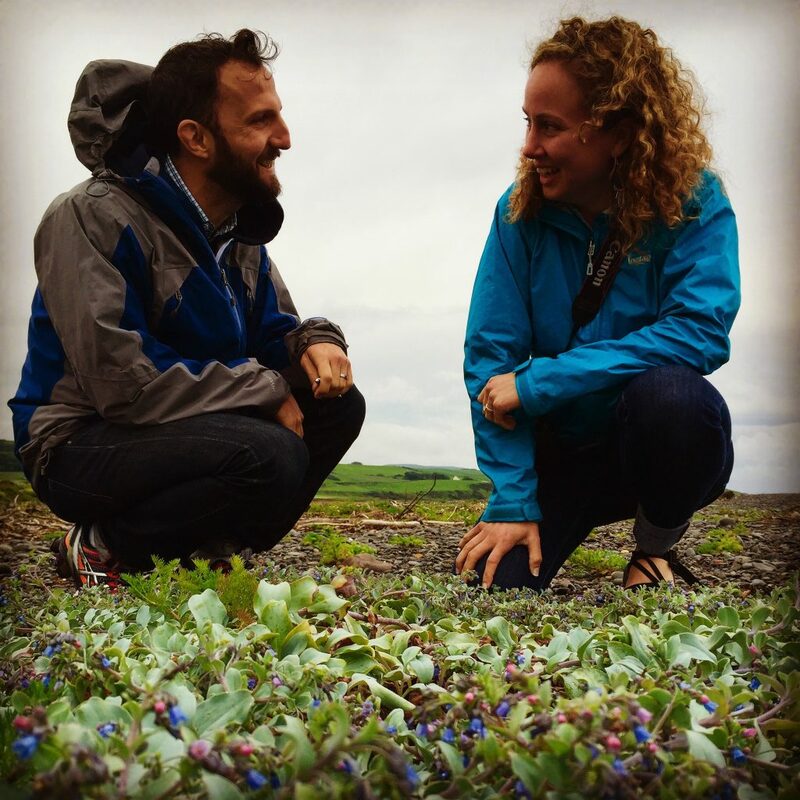 Those who had less of an expectation of what it was all about were totally blown away; but equally those to whom I had explained in more detail or are already keen foragers, were equally blown away by how much they learned and how engrossing it was. Mark regularly does walks for other businesses. Selling places for your own event is a good way to make bringing Mark to your area more affordable and often profitable. See here. If you would like to arrange some tuition tailored to your interests/location/group, host a foray at your business, get some help identifying something you have found or just say hi, please contact Mark. I can answer your initial questions and send an information sheet to help you to know what is involved. Example 1: An extended and far-flung family had got together for a short holiday in Ayrshire. They asked Mark to come up with an interesting venue for an afternoon’s foraging. Read about it here. Example 2: A retired couple who were keen cooks hired Mark to come to their rural home and help them get to know the free ingredients that lurked in their local woods. They invited a few friends round, had a fun afternoon, and learned how to use their wild larder in their everyday diet. Hi is there anyway to contact you via telephone to ask you whether you can obtain some gorseflower for me to purchase from you? Please email me back, or telephone me on 07985d83484. Hi Ross, thanks for your message. Your phone number was incomplete. Of all the things I expected to be asked for, I reckoned gorse flower was the least likely! Its absolutely everywhere in Galloway just now, and as I type I can see swathes of it out of the window. I guess you must live somewhere less rural, or have trouble getting to it? Anyway, I could look into getting some to you and would just charge for my time plus postage. I could pick a fair amount in an hour, so possibly around £20, depending on how much you require? Can I ask what you are intending to do with it? I am away on holiday for the next 2 weeks, but can look into sending you some when I get back if you wish to proceed? I was wondering if you could give me some advice on the best place in the d&g region to find elderflower & sloes? Dear Mark – I am trying to identify a plant I found growing wild on Arran. I emailed info@castlekirkarran.co.uk and Vicky suggested I contact you. Couldn’t find an email so hope you find this message! I doubt it’s an edible plant, and was growing by the coast, north of Brodick, last week (we were on hols there). What stood out were the green berries on a bright purple stalk – tried an online ID site but to no avail! Beautiful small purple flowers too. I’ve never seen anything like it & wondered if you could shed any light. If not, do you know who might? Its very hard to ID anything from just a description. If you have any pictures, feel free to email them to me or share via twittter or FB and I will be happy to try to help. Hi Mark – I didn’t have a camera but Vicky warned me that it might be deadly nightshade so I Googled and it was! I feel that colour combination of purple stalks and green berries should be as much a danger sign as red toadstools with white spots! So beautiful though. Hi, we live on a farm in Longtown, just over the boarder, and have an area of woodland that we planted 3 years ago, but has lots of piles of wood. There seem to be lots of different fungus around, but I’m struggling to identify any for sure. I was wondering about trying to organise for you to come to us maybe next Autumn now? I just wanted to get an idea of cost, and what it might entail. If you email I can give you a phone number to call. I replied to you directly by email. I don’t have “my own” mushroom ketchup recipe, but will work on one and share when I do. May be next season before I get around to this now! would you come to an estate to show us around and see whats available? also do you supply to any restaurants? I think I have replied to you by email. Let me know if that wasn’t you! Chris Dolphin was saying a few years ago he went on a walking trip in Gallowway with you and recommends you highly. The whole family is now starting to get extremely interested in the idea of learning to forage and I am contacting you to try and get a little information on the costs of a group 4 of us attending a course or arranging a private one. The skills everyone seems very keen on are: the shore side foraging, collecting edibles from hedgerows/ woodland and fungi identification. Chris mentioned that you did some courses on wild butchery/ roadkill prperation courses that myself and Chris would be very interested in arranging. We are happy to travel to Galloway for the courses as we are fairly local. Thanks in advanced for the infomation. Hi Joe, Thanks for getting in touch. I have emailed a reply.